As part of measures to keep up with China’s rising air power, Japan is considering the purchase of 20 more Lockheed Martin F-35As for the Japan Air Self-Defense Force (JASDF), following on from earlier government discussions. According to a report by local newspaper Yomiuri Shimbun procurement will begin as early as 2020 and will be part of the next Medium Term Defense Program for Fiscal Years 2019-23. The new batch of 20 F-35As is to replace around half of the 200 license-built F-15J Eagles, some of which are facing obsolescence. Currently, Japan has committed to 42 conventional takeoff F-35As to replace three squadrons of F-4/RF-4 Phantoms based at Hyakuri air base. The first F-35A assembled in the United States has already been delivered to Misawa air base, temporarily assigned to the Rinji F-35A Hiko-tai (squadron). It will later be officially assigned to 302 Hiko-tai (currently an F-4EJ Kai unit) by March 2019, following the delivery of more aircraft. Regarding the other Phantom squadrons, 501 Hiko-tai—flying RF-4E/EJ reconnaissance aircraft—will become a fighter unit by March 2020. The final F-4EJ Kai fighter unit, 301 Hiko-tai, will become another F-35 squadron by FY2020, and will move to Misawa. The Phantom’s retirement is currently expected around March 2021. By the end of 2018 the Japanese government is due to have announced new F-35 bases, along with the defense plan. Both Hyakuri and Nyutabaru air bases are considered possible F-35 bases to equip during the period 2024-2027. Earlier this year Tokyo issued a Request for Information to manufacturers for a next-generation fighter to replace the Mitsubishi F-2. It received a number of proposals, including one from Lockheed Martin covering an F-22/F-35 hybrid, but it now seems likely that the government wishes to pursue a more indigenous path, but involving collaboration with international partners. In the meantime, off the eastern seaboard of the United States, the Royal Navy achieved a major milestone over the weekend of October 13/14 when BAE Systems test pilot Peter Wilson performed the first ever SRVL (shipborne rolling vertical landing) recovery in an F-35B. This technique involves the F-35 approaching the carrier from astern with a combination of forward speed (and thus wingborne lift) and vertical thrust. It considerably increases the unused fuel/weapons bring-back capability when compared with the standard landing technique of coming to a hover alongside before maneuvering over the deck. The SRVL maneuver is unique to the Royal Navy, as only the aircraft carrier HMS Queen Elizabeth has a flight deck large enough for it to be employed safely. However, the U.S. Marine Corps is watching closely, and test pilot Major Michael Lippert—one of four from the joint test team aboard the ship—is expected to make the first SRVL by an American pilot. Queen Elizabeth has been undertaking its first at-sea aircraft trials in the Westlant 18 deployment. 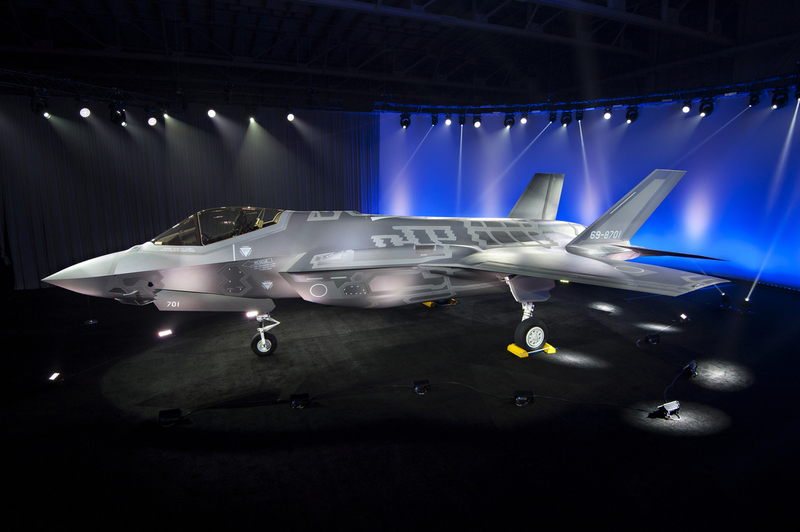 The trials remained largely unaffected by the temporary grounding following the crash of a USMC F-35B on September 28. Most F-35Bs were back in the air in around a day after having undergone inspection of a suspect part. Marines are scheduled to join Queen Elizabeth when the carrier makes its first operational deployment in 2021. The second ship in the class, HMS Prince of Wales, is nearing completion in the dockyard at Rosyth, Scotland.